Welcome to Day 5 of Trainwreck’d Society’s Month of Horror Showcase. Every day during the month of October, we will have a horror related interview and/or film review for your fright-filled reading pleasure! The set up will be the same as usual, but the topics will be far more terrifying. Enjoy! Today’s interview subject is nothing short of a modern day genius not only in the world of horror and suspense, but in cinematic writing of the present as a whole. Is 2010 film which he wrote and directed entitled Removal is one of the finest visualization of great storytelling to be released in the last decade. 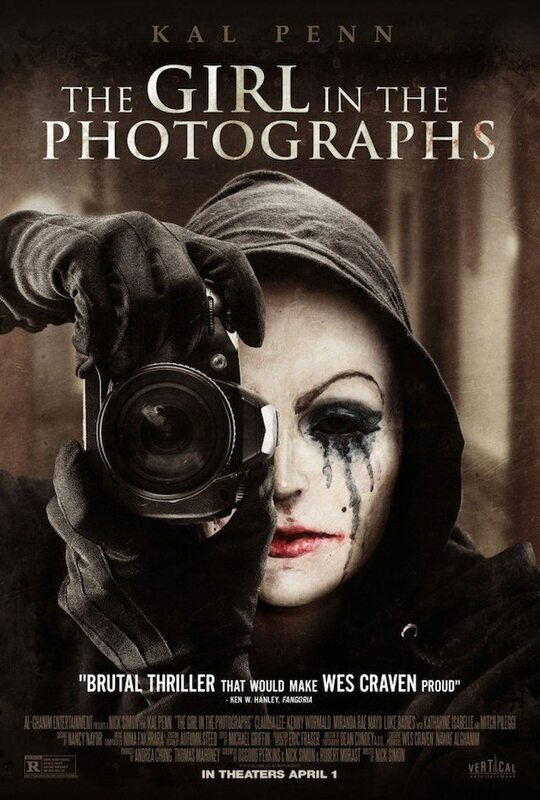 And in 2015 he released yet another thrill ride of a film that I hold to the same accord entitled The Girl In The Photograph. Finding this film was quite the experience, as I was simply drawn to the idea of a nice little scary movie featuring one half of Harold & Kumar in a dramatic role, and being based in a sleepy little town in South Dakota that I am very familiar with known as Spearfish. And then I realized that this was a Nick Simon project, and all bets were off. And in typical Simon fashion, he did not fail! 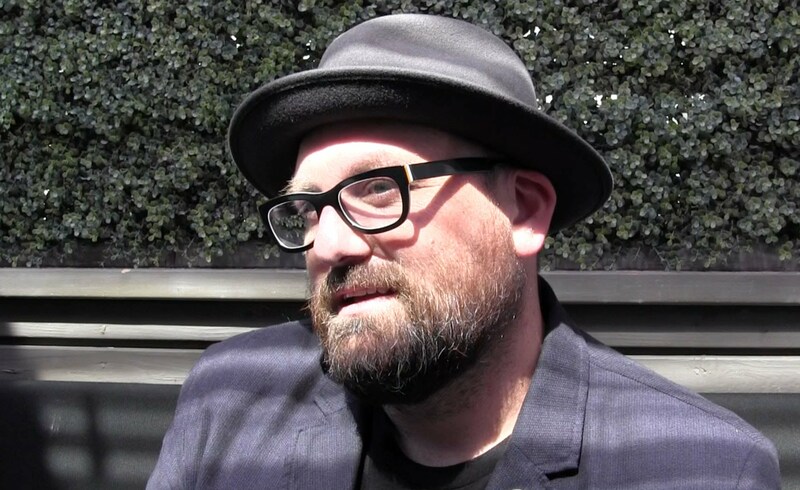 Simon has several other projects on record, and we are so excited for him to be featured in our Month of Horror series to tell us all about them and more. So ladies and gentlemen, please enjoy some great words from modern day mastermind of cinema, Mr. Nick Simon! When did your passion for film begin? Was it something you were drawn to at an early age, or did you sort of fall into it? Well, before I answer first let me say thank you for including me in your month of horror interviews, it’s an honor to be included with such an awesome list of filmmakers. Its funny to see the culture shift these days cause I really started as a Star Wars and Star Trek nerd before it was a “cool thing” to be. I think its funny all things that used to get kids beat up or picked on are now part of the popular culture. Those pictures opened my mind up to fantasy which lead to science fiction which led to Escape From New York and The Thing. Once I discovered that and Carpenter it was pretty much over. I was in a full blown obsession and I haven’t looked back sense. 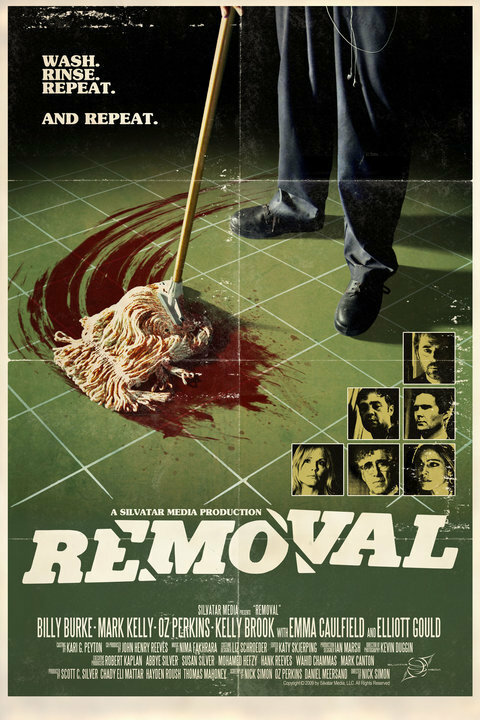 In 2010 you released your the incredible thriller entitled Removal, which was dark and brilliantly disturbing. It is a brilliant story brought masterfully to the screen. So how does a story like this develop in your mind? How did you visualize the film in the very beginning, and what are your thoughts on what would eventually be the finished product? Well, thank you very much, I never know if people actually see the movies I make so that means a lot. I remember when myself and Oz Perkins were developing it we both liked the idea of a scary “blue-collar fight club” story. When you’re trying to construct a twisty mind bending thriller, its very difficult not to give away any of the surprises before you want to. That’s where the fun comes from as well. Visually we wanted the mansion to be another character in the film and I believe when you see the movie we accomplished that. The mansion is a different place when the sun goes down but also has a sense of dread when the morning sun is shooting through the massive windows. There were of course other things we tried to sneak in there to foreshadow certain surprises which I hope people notice. It was my first feature and I was able to work with such an amazing cast. Billy Burke is so great in the picture. I’m such a huge fan of his. I was a big fan of Emma Caulfield before we made the film and she has become a pretty good friend since then. Mark Kelly is an underutilized talent. He should be a big big star by now. And of course, Elliott Gould, I could watch that guy read the dictionary. It was a really great experience. Over all, I’m really happy with how that picture turned out. We made it for very little money and I’m immensely proud of that film. On Removal, and on several other projects, you have teamed up with writer and actor Oz Perkins to create some brilliant work. How did this bond with you and Perkins form? And what do you think makes the partnership work so well? I met Oz when I was attending AFI and we immediately clicked and collaborated on a couple of my films while I was there. One of the films we worked on together was a cycle film short called Shadow Play which later became Removal. Mark Kelly, was also in the short. Shadow Play is a very condensed version of the feature, I still think its a lot of fun and proud of it. Oz is a very talented writer and within the last couple of years, a talented filmmaker, we got a long very well which made for a smooth working relationship. He’s doing his own thing now and I like watching his work, I would definitely work with him again if the right project came up. A lot of people may not know this based on his films but he’s actually a really funny guy. What is it about the horror genre specifically that draws you to this world? How did you decide this would be the genre you would spend most of your creative days within? Horror has many different aspects that are more subversive than most genres which I think allows for more interesting stories. If I tell you I made a very serious solider coming back from Vietnam story, I think most people would find that subject matter too heavy but when you hide that same subject matter in a horror film like “Deathdream aka Dead of Night” you can entertain while sneaking in whatever messages you want. To me that’s exciting. Of course it’s not all just big ideas like that, I also love watching an audience jump. The Shining just always sticks with me. It’s just the only horror film I can think of off the top of my head that gives you an overall feeling right from the start that something isnt right. Something is coming, something you can’t see but can feel. Hell, even the opening shot, you just feel like whoa somethings not right, the music is wholly original and chilling. The legendary performances. The steadicam in one of its first uses being worked with by a master. I don’t know I could go on forever but yeah. The Shining. What are your plans for this coming Halloween? And sort of traditions you try to uphold each year? Now that I have kids, I finally get to experience trick or treating from the parents side and it couldn’t be more fun. Watching my kids dress up and go trick or treating is a highlight every year. My next film Truth or Dare I think is gonna be a lot of fun. It was written by Thommy Hutson. I loved his script. I was fortunate enough to work with an amazing cast and the legendary Heather Langenkamp. It’s a fast dark little ride that has some great moments. The next film I want to make is more a thriller in the vein of Dog Day Afternoon I’m just finishing up the script and I am very excited about it. I hope to explore many different type of projects and genres but horror will always be my favorite. Watching the Trump administration dwindle a little more every week.